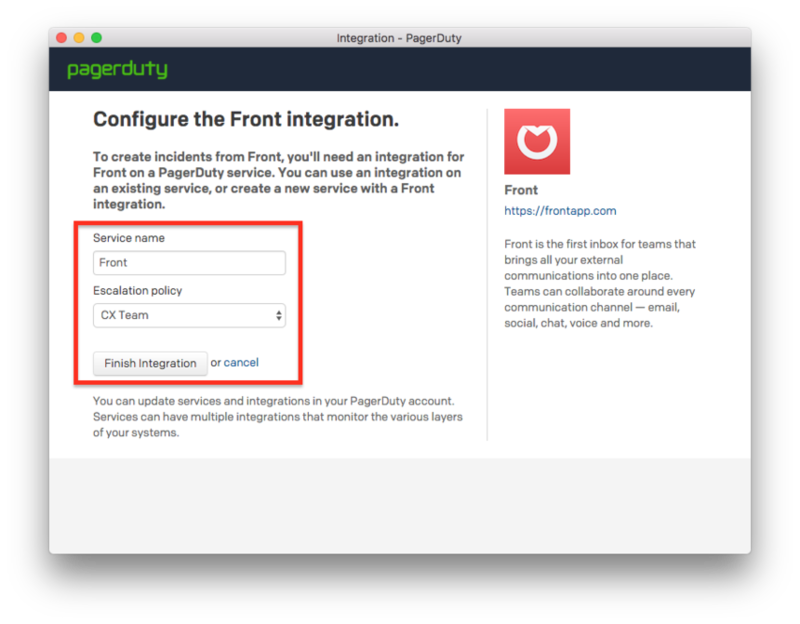 Like other integrations, you need to be an admin in order to enable the PagerDuty integration. This integration allows you to enforce customer SLAs by defining rules to automatically trigger PagerDuty alerts. 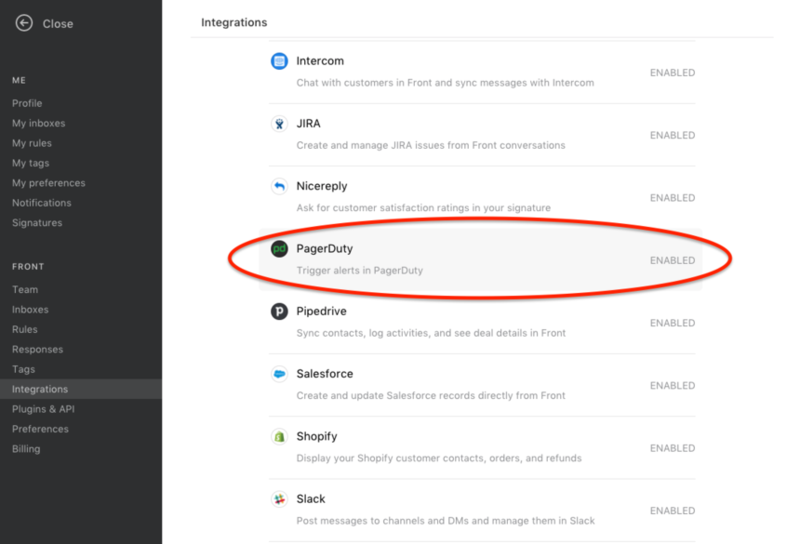 Use rules to set conditions for messages that require a PagerDuty alert (such as unreplied time or the keyword "urgent"), and Front will trigger a PagerDuty Escalation Policy for those messages automatically. Go into your Settings and select Integrations. Scroll down the list, and click on PagerDuty. Turn the toggle on to enable PagerDuty. Click Sign in to Pagerduty and link your account. This will allow Front to trigger alerts in your PagerDuty organization. 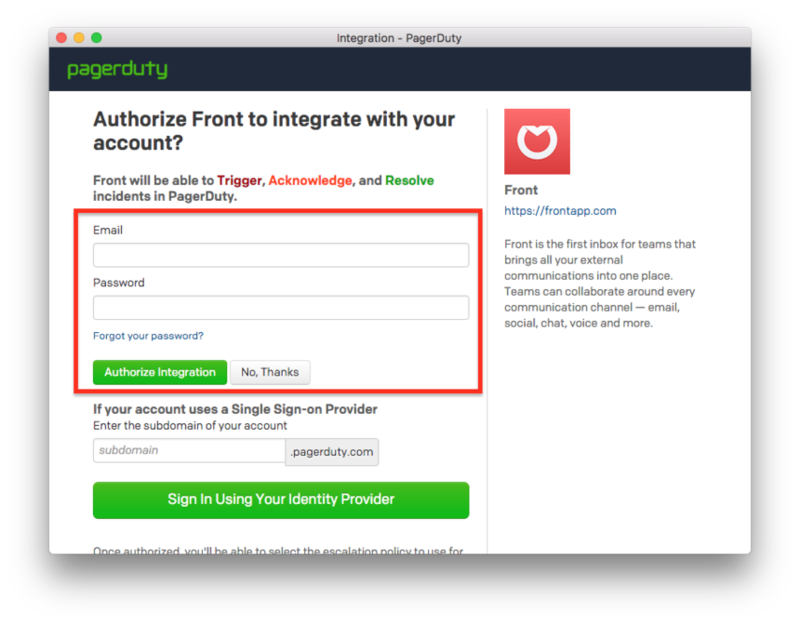 In the pop up authentication window, enter your PagerDuty credentials to sign into the integration. Choose the Service Name and Escalation Policy you'd like to use for the triggered Front message. Then click Finish Integration. 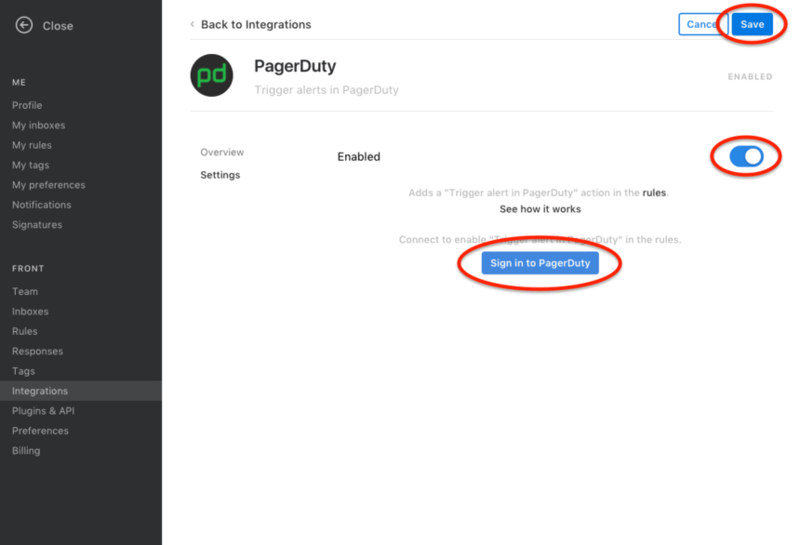 Click Save to finish enabling the PagerDuty integration. To create a rule for PagerDuty alerts, go into your Settings, select Rules, and Add a team rule. 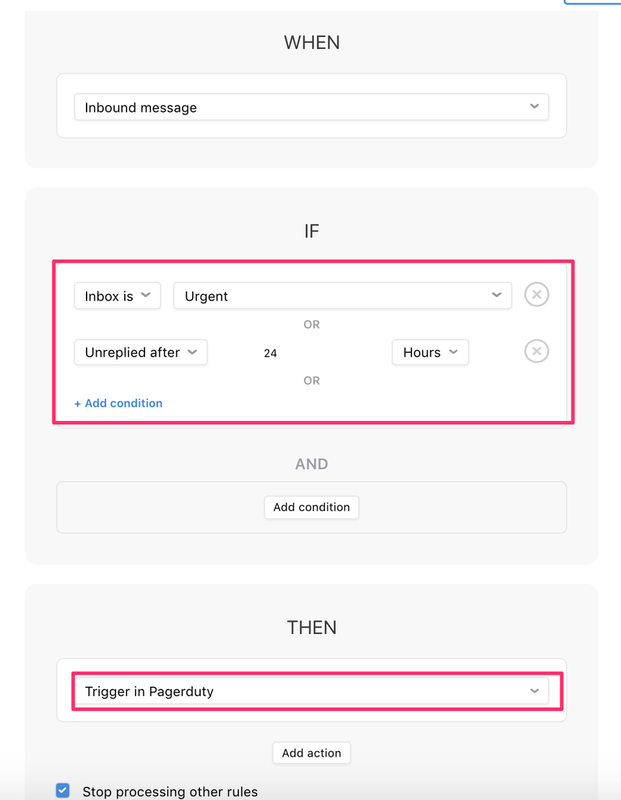 Set up your conditions (more information can be found in the Understanding rules article), and choose the action Trigger in PagerDuty (listed in the Then section).